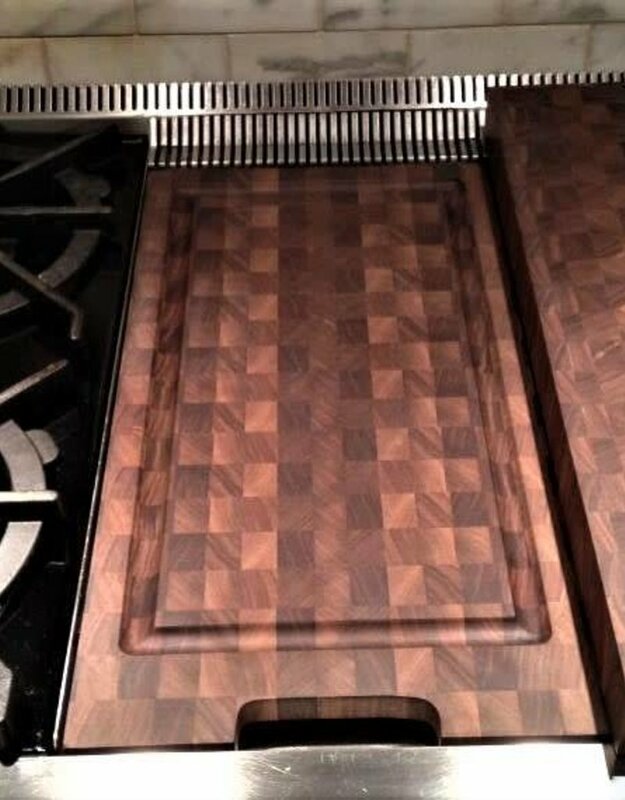 This beautiful End Grain Griddle Cover will enhance the beauty and function of your kitchen! Made of North American Hardwoods and handcrafted to fit your stove top perfectly! The handle is undercut for easy removal and it is available with or without a juice groove. 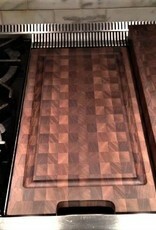 The pictured Griddle Cover is Walnut and it is also available in Ash, Cherry, Maple and Red Oak.